OnlyMyHealth: Why Use Organic Herbs and Spices? Why Use Organic Herbs and Spices? Organic herbs and spices add zest to your favorite dishes, and several also offer superior medicinal qualities. 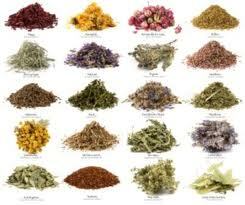 Some organic herbs are suited to making teas, while others are appropriate for use in perfumes. Purchasing bulk organic herbs makes the use of organic herbs and spices even more cost effective. Some organic herbs and spices are used in the making of sweet dishes. Orange peel, for example, is a wonderful component of many cookie, pancake and quick bread recipes when a touch of citrus is required to bring out the best in the total combination of ingredients used. Organic spices can be used in many of your favorite savory recipes. Dill is wonderful used in stuffed grape leaves\' filling, as well as in tartar sauces. Organic spices such as curry powder can take a meal that might be otherwise bland and bring it to a new level of taste with the addition of this zesty spice. Organic bay leaves can be used in a plethora of different recipes from many cuisines from around the world, including simmered bean dishes, soups, and sauces. Fresh organic cumin seed can be ground at home in small batches for the freshest flavor. Perfumes for the body and household can be made out of organic essential oils. You can choose to relax with the scent of lavender or lemon organic essential oils wafting around the air from your bath. Other tantalizing scents you might enjoy are orange, peppermint and rosemary. Each offers the senses a slightly different aromatic experience, yet all are enjoyable. For those who can no longer tolerate the large amount of caffeine in coffee drinks, organic teas can provide the panacea for something hot to drink that you crave. You could select a tea that features a single herb, such as chamomile tea, or you might go for an exquisite blend, such as chai or cinnamon orange spice tea. Some organic teas can provide medicinal features as well. There are detox teas that help to rid your body of impurities and are useful to drink if you choose to abstain from food for a short time. Other organic teas focus on one quality herb noted for its outstanding flavor. Hibiscus tea will boost your daily intake of vitamin C in a delicious way. Moroccan mint and peppermint teas are a wonderful accompaniment to crisp sweet cookies at the end of a meal as well. When you find specific organic herbs and spices that you like and use frequently, you will want to economize by purchasing bulk herbs. Because you may select exactly what you use, you will eliminate waste and thus save money. You will also be sure of having what you need on hand when you have a good supply of bulk herbs at the ready. Once you discover the glorious taste of organic herbs and spices, you will never want to go back to dull supermarket varieties. Anne Harvester is an herbalist who has studied the benefits of organic seasonings. In this article, she explores organic herbs and spices. Anne\'s advice on buying bulk organic herbs and bulk organic spices can help you to save money.